However, the naysayers are not questioning the Hartford’s ability to meet regulatory requirements over the short term – it’s the long term that is raising eyebrows. After all, just because the company announced that it would start halting sales of annuities next month, it will still have to meet the obligations presented by its existing annuities – including those with lifetime-payment guarantees. In the case of these guarantees particularly, they have not been fully tested at Hartford, nor have they at any other insurance agency. Many of the people who bought those guarantees did so in the mid-2000s. These people are, for most part, just now retiring and expecting withdrawals over the rest of their lives. 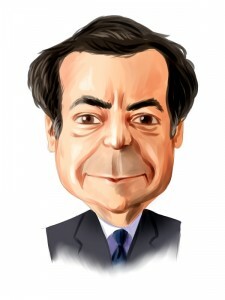 Hartford Financial (HIG) Hedge Fund:18 John Paulson - Paulson & Co.